Buddhism is a religion of wisdom,a wisdom that is born of a deep consideration,practice and realization.The wisdom for which a prince renouncing his crown went to the jungles to find his true self. 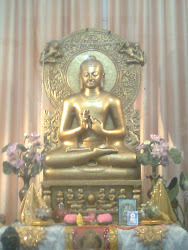 Buddha taught about arising of Dukkha (unsatisfactoriness) and elimination of Dukkha.This is the present state in which a person exists throughout his life and he must be taken out of it.What happens after death is not so important but you must know what is to be done when you are alive. 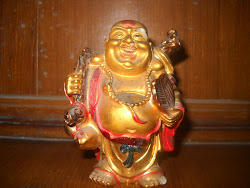 Buddha taught us about Middle path-that is not being on the extremes.A guitar wire should not be so lax that music doesn't arise out of it and it should not be too tight that it breaks down.One should not be too harsh on oneself and nor one should be so easy going that he always remains indulgent in sensual pleasures. 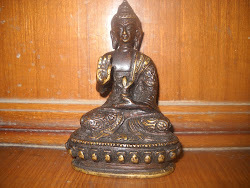 It says that don't be harsh on yourself as it may break you and on other hand don't be so lazy that nothing worthwhile can be achieved.Taking the middle path,one can be conductive to study and practice and can put an end to suffering.This is the philosophy which will prevent you from going wayward. Buddha said ,"i don't believe in fate that will fall upon you whatever you do but i believe in fate which will occur to you unless you act." We are not to rely on fortune and fate or on celestial bodies.We must stand up for ourself.In buddhism this phrase is so important.Only you can help yourself.When one is miserable and suffering from pain and anguish you must look for way out yourself.The buddha said,"Buddha merely point out the way,making the effort is something that each individual must do for himself."